IAQ Training Institute, LLC offers consulting services in IAQ, mold, water damage, fire, odor and other concerns in residential and commercial buildings. IAQTI also provides legal consultation and expert witness services for a wide range of clients nationwide. IAQ Training Institute LLC (IAQTI) is the leading provider of IAQA Approved training courses worldwide. IAQTI teaches open enrollment, private, customized & online courses on indoor environmental quality consulting, building science and mold inspection and remediation. IAQ Training Institute, LLC produces IAQradio a weekly podcast featuring interviews with the leading professionals worldwide on IAQ, disaster restoration and building science issues. IAQradio episodes are archived (over 400 episodes) along with a detailed blog written by Co-host Cliff ”The Zman” Zlotnik. The voice of the Indoor Air Quality Industry - Learn More! - Episode 452 - Bill Turner, MS, PE..
IAQ Training Institute, LLC was founded in 2001 as a partnership between Professional Training Associates, Inc of Duquesne, PA and Project Development Group (PDG) of Churchill, PA. In 2005 Joe Hughes bought out his partners at PTA and Cliff Zlotnik bought out PDG. Since then Radio Joe and the Zman have been running IAQTI and its subsidiary IAQ Radio. 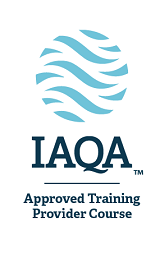 IAQTI has provided IAQA approved training programs since 2002 and started broadcasting IAQ Radio in 2006. Radio Joe and the Zman also provide consulting and expert witness services for a diverse clientèle. IAQTI provides the "the training you trust and IAQ Radio is the voice of the IAQ, disaster restoration and building science communities.